Most people (even personal trainers) never even think about how to sell personal training as a holiday gift. For some reason, we’re fixated on gifts purchased in a store. Although gift cards are really popular, we tend to purchase ones from popular stores and restaurants and we skip those easy gift ideas altogether because they’re not “personal” enough. But the holiday season can be a great time to really boost your business and long-term client roster if you play your cards right. There are actually two facets to this. The first is to sell personal training to people who are ready to do something good for themselves or who want to get into shape for the holidays. The other is to sell personal training as a gift. I’m going to tell you how to do both. There are two groups of people who are perfect target groups for selling personal training during these months leading up to the holidays. The first is people who normally workout outside or who use outdoor sports in good weather as their exercise. Once the weather turns colder, they’re left without a good way to get their fitness in. The other group is made up of people that would like to lose some weight for the holidays. While New Year’s resolutions are known to focus on weight loss and fitness, there are also a lot of people who want to look better than they do when they meet up with friends and relatives after a time apart. Many people also worry that the holiday eating will either add another few pounds to their already overweight frames, or they worry those holiday dishes are going to undo the hard work they did recently to lose weight. These people are ripe for your solutions. The best way to market to both of these groups is to run a special promotion or challenge. You could do a 4-6 week fat loss program focused on losing “X” number of pounds by December 31st or offer a 4-week special for a really low fee, such as $29-79 that includes a nutritional plan for getting through the holidays. Selling personal training as a gift is a great way to capitalize on the ease of gift cards, but with something much more personal and meaningful. What could be more personal than the gift of a healthier life and better body? Again, the best thing to sell here is a special promotional deal. 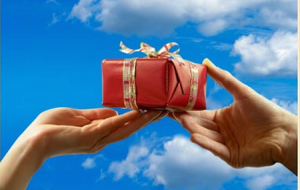 You can even offer tiered deals to appeal to different gift-giving budgets. You might offer a 4-week special for $29, a 6-week challenge for $79 and a 12-week transformation package for $197 or whatever prices make sense for you. What’s cool about selling your services as a gift is that you already have a target market right there in your gym. Who knows the value of your services better than your current clients? If you’re wowing them with great service and great results, they already know what a great gift these deals would make and they would probably also love to have some of their friends and relatives working out with them. Outside of marketing inside the gym to your own clients, you can advertise your special gift packages on Facebook and tag your current clients so that all of their friends see the specials. This is a great way to drive interest in your business. Direct people to Like your Facebook page to get a link to the great specials you’re offering. 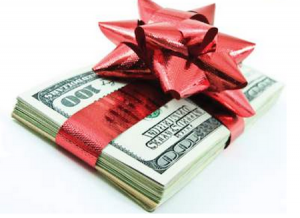 Now, the short-term income from selling gift or holiday packages isn’t your main goal. Yes, it’s nice, but it’s not your primary focus. Your focus is on giving all of the people who come in on these specials the workout of a lifetime. You’ll have several weeks to get them to know, like and trust you and to show them you can deliver the results you promise. THEN you sign them up for a long-term contract. This is one of the best strategies used by the most successful people in the industry – bringing people in on special promos and converting them to long-term clients. The holidays are also a great time to roll out that fitness info product you’ve been thinking about and selling it to your clients as a gift idea. You can also get around (and even take advantage of) the fact that people are extremely busy during the holidays by offering an online coaching program as a solution. Online coaching programs can be a huge, evergreen moneymaker for you. People are going to spend money on gifts during the holidays. You can feel good about getting them to spend it with you if you believe in what you offer and deliver what you promise.